Will you be in the Atlanta area this weekend? If so you are invited to join me and my Thrifting Atlanta thrift sisters for our March Thrift and Brunch Meetup on Saturday, March 8th at 12:00 pm. 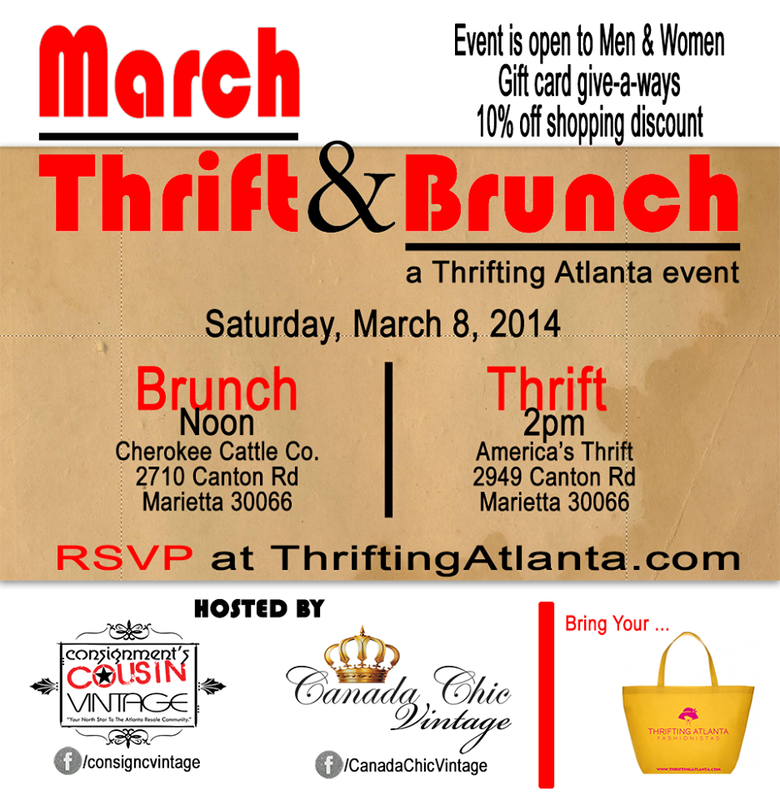 This month's Thrift and Brunch is hosted by Bianca of Consignment's Cousin Vintage and T'Keyah of Canada Chic Vintage. We will meet for brunch at Cherokee Cattle Co, 2710 Canton Rd. Marietta 30066. Then, after brunch, we will head over to America's Thrift, 2949 Canton Rd. Marietta 30066. RSVP at www.thriftingatlanta.eventbrite.com or click HERE.